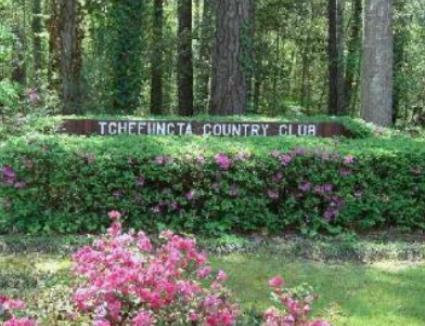 Money Hill Golf & Country Club is a Private, 18 hole golf course located in Abita Springs, Louisiana. Money Hill first opened for play in 1998. The course was designed by Ron Garl. Hole #s 14-18, the final five holes, are positioned around a 186-acre artesian spring-fed lake. These finishing holes present a variety of challenging shots that bring water into play. Par for the course is 72. From the back tees, the course plays to 7,131 yards. From the forward tees, the course measures 5,182 yards. The longest hole on the course is # 3, a par-5 that plays to 550 yards. The shortest hole on the course is # 16, a par-3 that plays to 162 yards from the back tees. Watch out for # 2, a 400-yard par-4 challenge and the #1 handicap hole on the course. The easiest hole is # 14, a 185 yard par-3. Money Hill is an interesting name for a golf community, but what's more interesting is how Money Hill got its name. According to legend, the name came about in the late 1800s as the location where Barataria pirates and smugglers - perhaps even the notorious Jean Lafitte - buried a portion of their stolen booty. These rumors were so strong that the area was still being exploited by treasure hunters, digging up the area, well into the 1930s. The Goodyear family originally purchased the land as a logging site in the late 1800s and have been taking care of the property ever since. Brothers Charles and Frank Goodyear built a paper mill and for decades the property supported the timber, pulp, paper and tung oil industries. More recently, that site has become a memorable campground, popular with both family vacationers and sportsmen. That was then, this is now. And now, Money Hill is a special place like no other. It's located on the outskirts of Abita Springs, a small, scenic, historic town, populated with quaint shops and restaurants. 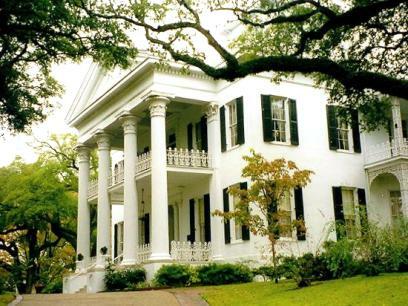 New Orleans, Baton Rouge and the metro areas along the Mississippi Gulf Coast are all within a short drive. Money Hill offers both simplicity and sophistication in a resort-like setting. Homes are simply elegant and the grounds are meticulously maintained. The community is committed to the preservation and stewardship of the natural environment and is an excellent place in which to invest in one's future. The 18-hole championship golf course at Money Hill is the centerpiece of the community and is the work of world-renowned golf course architect Ron Garl, whose company has well over 250 courses to its credit. 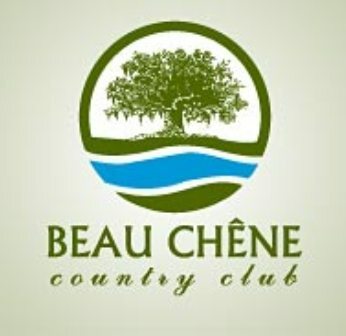 Money Hill is consistently ranked at the top of the list of the best golf courses in Louisiana. In designing Money Hill, Garl gives all of the credit to Mother Nature, although for my money he and his design staff deserve a great deal of kudos as well. There are a number of elevation changes throughout the course and the natural contours of the land can make for some interesting lies. The 186-acre spring-fed lake not only provides the perfect backdrop for many of the holes out here, but it also figures prominently into several of them. The last five holes define Money Hill and will rival any set of finishing holes in the state. Number 14 is a long par 3 that plays 185 yards from the back tees and, even though the tee shot plays downhill, distance control is critical. The wind can play tricks on you and a back right pin placement on this kidney-shaped green can make it difficult to get it close. The par 4, 15th that requires a moderate carry over water. Favoring the left center of the fairway is the preferred line off the tee as the fairway slopes right and you tend to get a little roll. The approach plays slightly downhill to a relatively flat green that can be tough to hold. Allow for a little roll out on the green. Anyone who knows Ron Garl knows that you're likely to experience an island green at some point during your round and Number 16 doesn't disappoint. From the back tees, the hole plays 162 yards and is Money Hill's signature hole. Club selection is critical, especially with the wind blowing in. The green is deep and if the water doesn't catch your errant tee shot, one of the bunkers will. Find the green, make your par, enjoy the view! 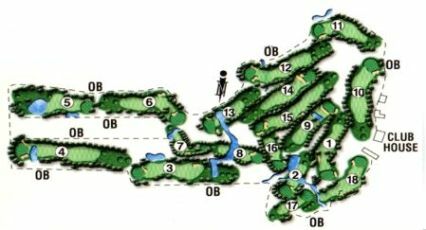 Number 17 is a long par 5 that will prove to be a 3-shot hole for the majority of golfers as the small green requires extreme accuracy. Play your tee shot to the right of the fairway bunkers and hit a layup that leaves a manageable distance into the green and you too can master this hole. Provided you can putt! The finishing hole at Money Hill is a beautiful par 4 that plays 440 yards. It requires a well-struck tee shot that splits the bunkers on the left and water on the right. 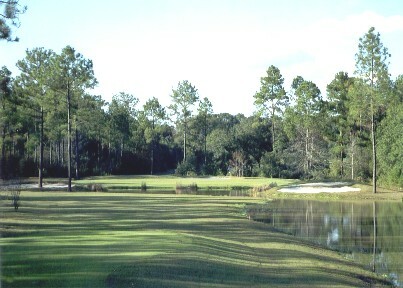 Take a little extra club on approach as it plays slightly uphill into a green protected by live oaks and deep bunkers. Looking back down the fairway from the 18th green will bring back fond memories of well-played shots at a world-class golf club. In the event golf is not your sport of choice, there is still a lot to do at Money Hill. Nature and hiking trail follows a beautiful path around the 186-acre lake and is ideal for the avid fitness enthusiast or a casual evening walk with that special someone. If you're more of a water sports person and enjoy fishing, cast a line in one of Money Hill's well-stocked lakes and ponds, or explore the 186-acre lake by kayak or paddleboard. If you like to get your exercise by swimming, there's a 25-meter pool; take the kids along and let them splash around in the kiddie pool. Adjacent to the swimming pool is Money Hill's tennis courts which features both hard and Rubico courts that are lit for night play. Whether you're a seasoned player or just taking the sport up, there's a tennis group within the community that will gladly take you in. If your goal is to become a better player, Money Hill's tennis staff can help get your game to the next level. For the chronic fitness buff, the Fitness Center at Money Hill will rival any private fitness club. Swim, tennis and fitness members can take advantage of the state-of-the-art facility equipped with everything you'll need to stay in shape and live a healthy lifestyle. Free fitness classes including yoga, tai chi, and circuit training are available via a kiosk system 24/7 for residents and members of all ages. In case you prefer to work out at odd hours, there's an after-hours security access system. After your workout, schedule a massage with one of the professional practitioners at the Money Hill massage room. It's conveniently located right next to the Fitness Center. As a club member of Money Hill, you'll have the privilege of partaking in all of the year's social events. There's something for everyone including Money Hill's evening of Wine Tasting, where members select the club's wine list by voting for their favorites while sampling dishes from The Grille. Money Hill's dinner parties will let you dance the night away to the musical stylings offered up by local talent. Several annual events are centered around families including a themed monthly dinner at Family Night and fun and games at a family camp out. With so many social events for everyone, you're sure to keep your social calendar packed! In addition to offering a busy social calendar, Money Hill has a variety of organizations designed to appeal to a wide variety of interests. For example. the Men's Golf Association hosts regular sporting events for members and their guests. The Ladies' Golf Association puts together fun-filled events aimed at both experienced and inexperienced golfers. ROBS (Retired Old Boys) is a group of retired men who enjoy each other's company and have banded together to socialize and play in interclub tournaments. The Monarchs is a ladies social organization that sponsors field trips, supports charities and hosts regular monthly meetings highlighting entertainment and guest speakers. Plus many, many more. Money Hill is the perfect venue for your next big event, whether it's a family reunion, a business conference or a wedding. The experienced wait and culinary staff at Money Hill pay attention to every detail and the event coordinators will help make your event a success. Any of your events can be combined with related social activities: golf tournaments, putting or long-drive contests, clinics, and demonstrations. Food and beverage catering is also available. The culinary staff at Money Hill offer original and eclectic food packages that can be easily tailored to your specific needs. When you book your next event at Money Hill, you can be sure of a one-of-a-kind experience. If you're thinking of relocating to the area or looking for a second home, Money Hill has a number of beautiful lots available with golf course and lake views. Although some phases of this beautiful community have been sold out, there is still a wide variety of lot sizes available, ranging from larger single-family lots to low-maintenance garden home lots. The Real Estate staff at Money Hill can help you choose a local builder or home that is currently available. Should you choose your own builder, all you'll need to get started is approval by the Architectural Committee.